We installed this grey and white vinyl fence and gate in Stanton, CA for a client who wanted them in the lakeland style. 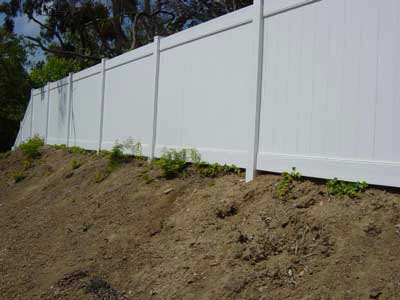 We completed a residential fence installation in Laguna Woods, CA. 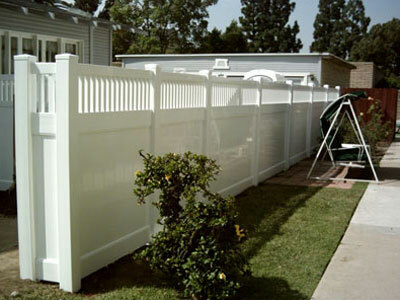 This Melbourne style vinyl fence features lattice on top. 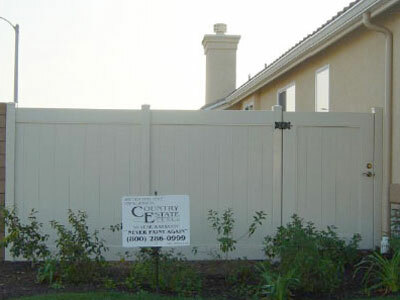 Country Estate Fence installed this vinyl privacy fence in Cypress, CA. This client wanted a fence would would give their backyard complete privacy. 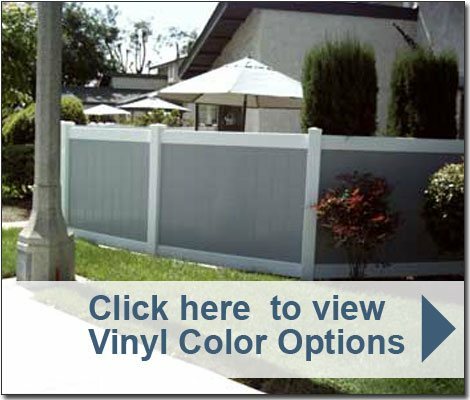 We installed this vinyl fence in Murrieta, CA. 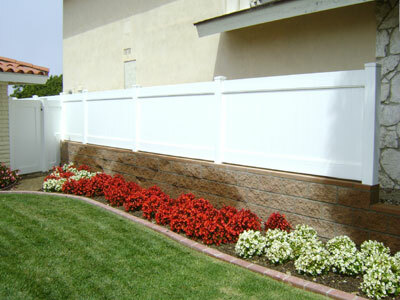 This privacy fence is an almond lakeland color and matches the client's house perfectly. This vinyl fence in San Juan Capistrano, CA was installed for a client who wanted complete privacy since they live next to a main street. They chose this adobe color to complement their home. 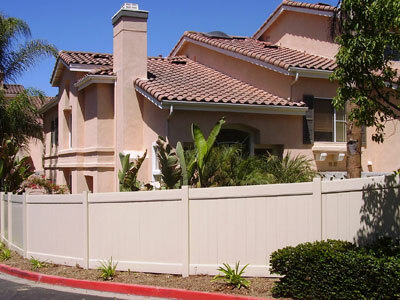 This residential fence installation in Dove Canyon, CA features a Montauk style vinyl fence. This client wanted a fence that would give their yard privacy without being completely solid. 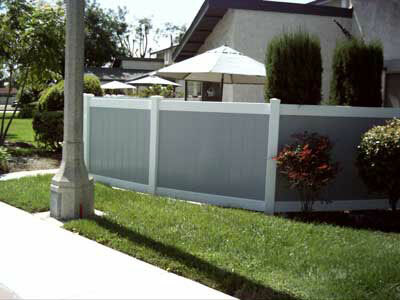 Country Estate Fence installed this vinyl privacy fence in Los Alamitos, CA for a client who wanted complete privacy and a solid white fence. 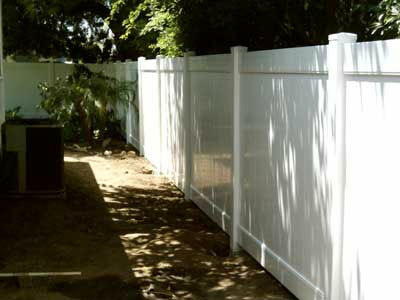 This residential fence installation in Stanton, CA features a grey and white vinyl fence. 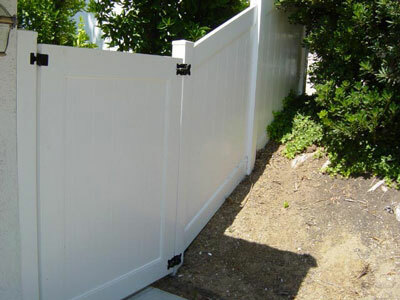 This client wanted a basic solid privacy fence, but also chose two different colors to make it more unique. 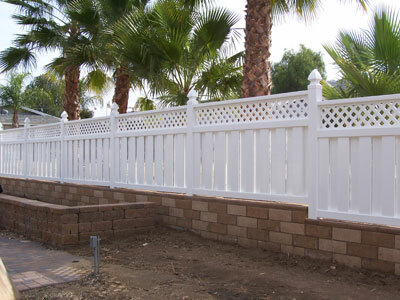 We completed a fence installation in Lake Elsinore, CA. Country Estate Fence installed this vinyl Montauk style fence for a client who wanted privacy, but also some view of the house next door. 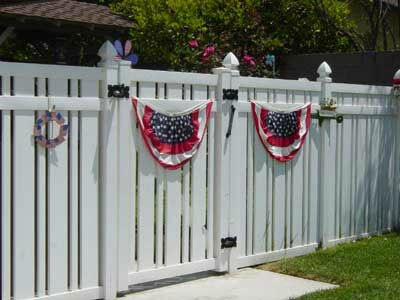 Country Estate Fence installed this vinyl wall topper fence in Jurupa Valley, CA. This client chose to place a wall topper on top of their existing block wall for complete privacy instead of building their block wall higher. 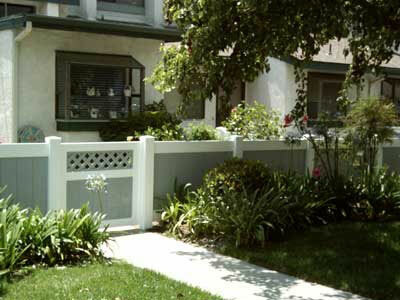 Country Estate Fence installed this vinyl Kensington style fence and gate in Riverside, CA. This client chose this Kensington style fence because it offered privacy but still allowed them to look through the fence to see visitors. We installed this solid vinyl fence in Fountain Valley, CA for a client who wanted a solid fence to keep their pets from leaving their yard and off the hill. 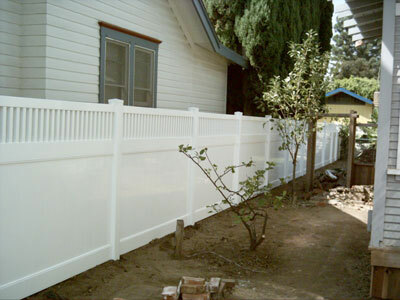 Country Estate Fence installed this vinyl fence in Westminster, CA. This client wanted a very simple fence to go in between their stone pillars. 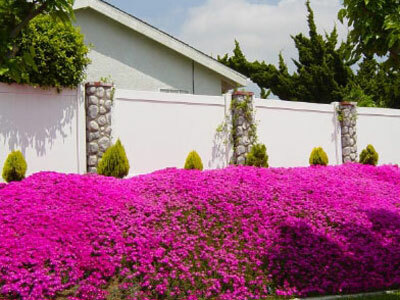 They chose a white fence so their flowers would stand out. 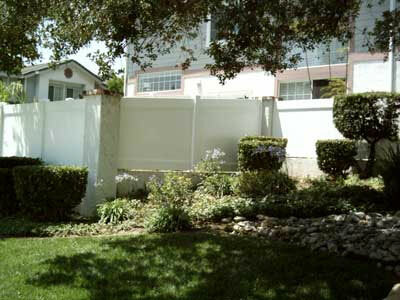 Country Estate Fence completed a residential fence and gate installation in Garden Grove, CA. This client wanted a basic privacy fence and gate made in the same style so that there would be a seamless transition between the two projects.